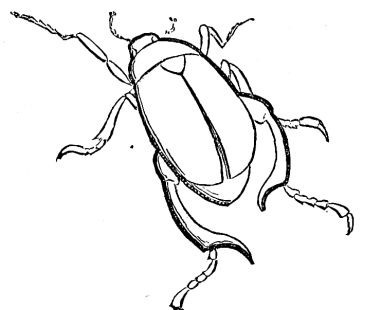 Black and white drawing of a beetle. This is a simple outline-like drawing that would look great with your own colors. It would also be a great coloring book image for your kids. So many wonderful vintage images on Reusable art are from this wonderful children’s magazine. This edition of Harper’s Young People was released on January 6, 1880.